As a savvy Internet user you are well armed when it comes to ensuring your system is not open to compromise, or exploitation, by malware. You have protected your machine with an appropriate defense system including a Firewall (either software or hardware), sound and effective antimalware applications (including anti-virus and antispyware), anti-keylogger, and an additional protection layer against zero-day threats with the installation of an application such as ThreatFire. But, you can take your existing defense system to another level by installing a small application which will provide you with the tools you need to analyze the activity on your ports. There are a number of free real-time port analyzers available for download, and the following is a brief description of two such applications. 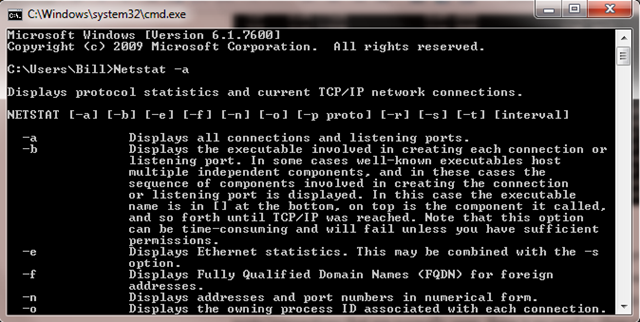 If you are familiar and comfortable with using the Windows command structure, then you may want to try the command line utility Netstat, which displays protocol statistics and current TCP/IP connections. This utility and the process are covered later in this article. Process and Port Analyzer 2 is a real time process, port, and network connections analyzer, which will allow you to find which processes are using which ports. A good little utility that does what it says it will do. View currently running processes along with the full path and file which started it. View the active TCP Listeners and the processes using them. View the active TCP and UDP connections along with Process ID. 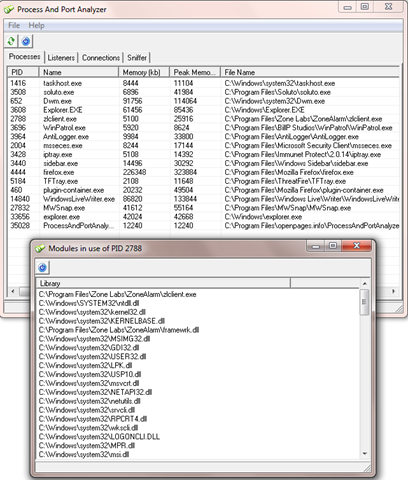 Double click on a process to view the list of DLL’s. CurrPorts allows you to view a list of ports that are currently in use, and the application that is using it. You can close a selected connection and also terminate the process using it. As well, you can export all, or selected items to an HTML or text report. Additional information includes the local port name, local/remote IP address, highlighted status changes and more. Windows includes a command line utility which can help you determine if you have Spyware/Botware running on your system. Netstat displays protocol statistics and current TCP/IP connections. This is an excellent article and very important. Personally, I use CurrPorts whenever I am connected to the net. 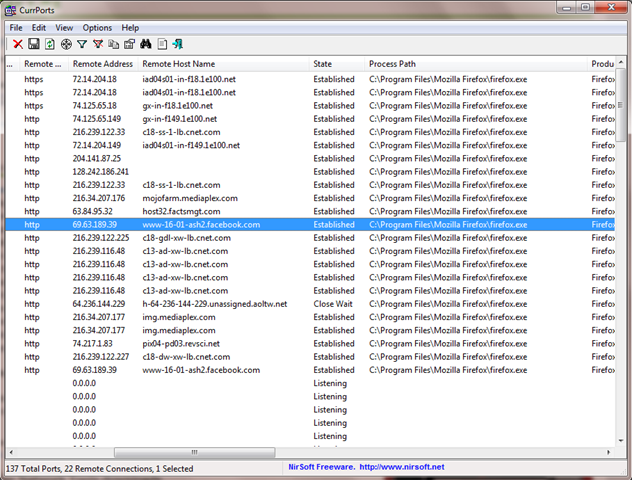 It is an excellent little program, highlighting those programs automatically that might be suspicious. It’s very configurable too. I do know how to use the netstat command, but don’t use it much since getting CurrPorts. But as you say, it is important to double check with netstat occasionally, just like we do with several malware applications. I haven’t used Process and Port Analyzer 2 but I am going to download it now to try it out. I’m with you – CurrPorts is way easier than using Netstat. You’ve got a real handle on CurrPorts. That is so cool! !